Rockstar Games will bring its popular Grand Theft Auto franchise to Apple's latest iOS devices to commemorate the 10th anniversary of the game's third episode. The company announced on Thursday that Grand Theft Auto III will be coming to select new generation iOS devices this fall, specifically citing the iPhone 4S and iPad 2. 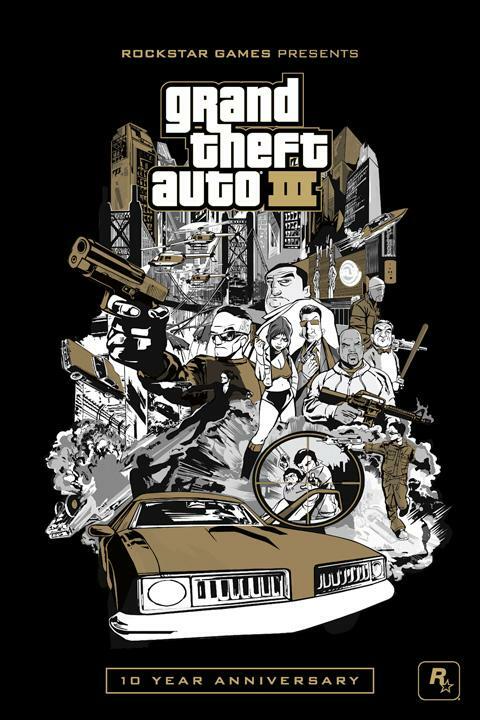 GTA III was originally launched in 2001 for Sony's PlayStation 2 console, and quickly became the best-selling video game of the year. As of Mar. 26, 2008 the game has sold 14.5 million units worldwide, prompting the studio to add five more titles to the franchise. The sandbox-style action-adventure follows the main character Claude through the open world of Liberty City, combining elements from third-person shooting and driving games. In addition to the iOS version, Rockstar will also launch an Android version of the game this year with support for a variety of 2011 smartphones and tablets. The company also announced that a limited-action figure of the lead character will be available for pre-order, with a MSRP of $149.99. Mobile versions of the game will be available to play at the New York Comic Con at Javits Center this weekend, with the full game set to debut in the App Store at an unspecified date later this fall.